Pupil Book 6 introduces the letter/s-sound correspondences as shown on the front cover via Multi-skills Activities pages. 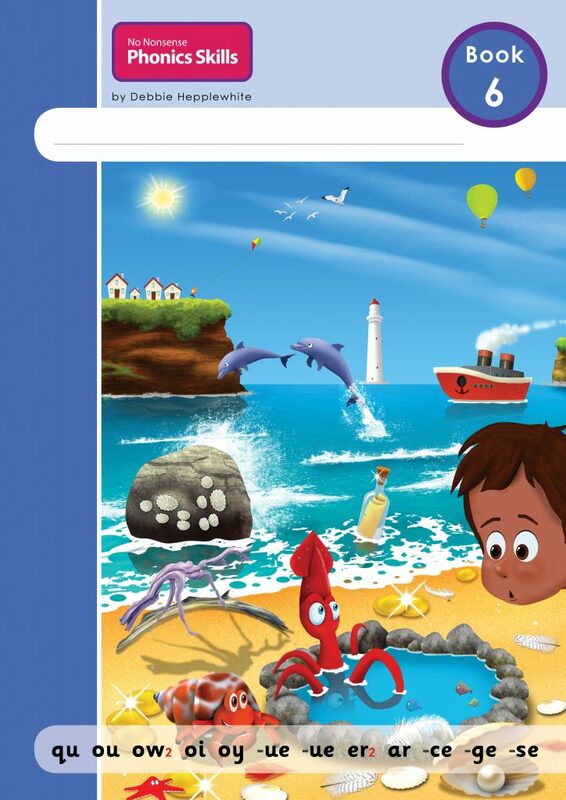 The learner applies and extends phonics code knowledge, handwriting and new vocabulary, whilst developing language comprehension, via 12 Mini Story pages. In Book 6, further examples of pronunciation alternatives and spelling alternatives are introduced.